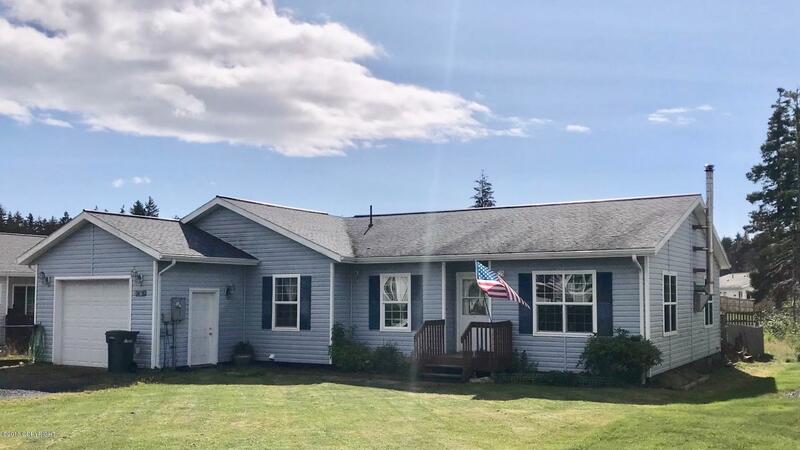 3856 Coho Circle, Kodiak, AK.| MLS# 18-14450 | RE/MAX of Kodiak - Alaska Real Estate - "Honesty & Integrity...It's That Simple!" Spacious 4 bedroom 2 bath home w/garage and a fenced in back yard located in WOODLAND Estates on a quiet cul-de-sac. New whirlpool black stainless steel kitchen appliances. Wood stove in living rm to cut down on oil price. Laminate flooring with new protective coating. Jacuzzi tub in master bedroom and walk-in closet. 40 ft new large back deck.